The ‘blockchain’ is an exciting technology. Many technology pundits and early adopters of blockchain have termed ‘blockchain’ the biggest invention after the internet. And just like the early days of the internet, it is slow, not user-friendly and not perfect. I also believe that what internet did for information, blockchain will do for everything else. But just like most people were unaware of the internet boom, a large chunk of people are unaware of the revolution that blockchain is about to bring in. I feel this because blockchain is more complex than the internet and also because things are not clear enough as to why this technology matters so much! Also, some of the myths and theories around blockchain prevents individuals to appreciate blockchain’s full potential. I also know that some people don’t get involved because they think it is purely technical. I disagree. Of course, blockchain is a technology and highly technical to grasp but there is more to it than just that. The blockchain is an amalgamation of maths, computer science, philosophy, psychology, and trustlessness. That is why I think some are some basic tenants of blockchain everyone should know whether or not the person is technical. It is with the purpose of introducing blockchain to our CoinSutra community and clearing some myths surrounding this technology that I write this article. I also consider this article as an opportunity to tell you everything I know & feel about ‘Blockchain’ and strongly recommend you to read my previous write-up on the same. Here it is: Ultimate Guide To Understanding What A “Blockchain” Is? Now that you have read the aforementioned article, I believe you would have a fairly good idea about blockchain for starters. 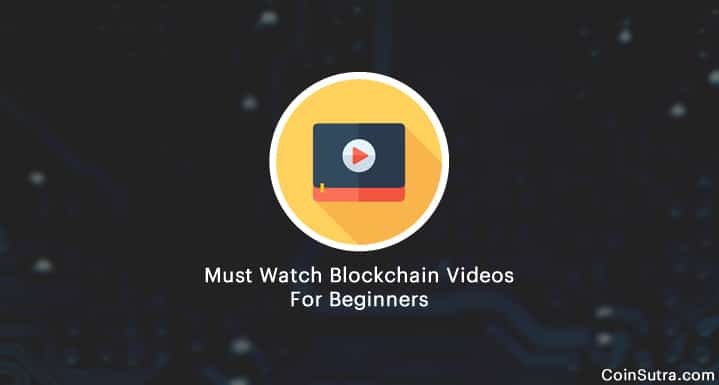 Furthermore, I suggest you go through hand-picked videos that I have listed below to get a hold of the blockchain technology. This video is brought to you by World Economic Forum, one the organizations I have the utmost respect for. This video vividly describes how blockchain was invented and how/where it can be implemented beyond the arenas for which it was conceived in the first place. It also tells who can be the losers or winners in the perspective of blockchain technology. This video shows how blockchain emerged and evolved from Bitcoin. It starts from money as its example and goes to show how cheap blockchain can be for payments. Telling you also that how blockchain can be used for making a unique digital identity for money and everything else we know and hence preventing frauds. CNBC puts a unique perspective on blockchain technology in this video. While simultaneously acknowledging the fact that blockchain tech has been used for buying drugs, guns and even to fund unethical loans, it majorly focuses on its positive usecases. It is good to see that organizations like UNICEF still think that blockchain can be a force for good and how traditional banks face a threat of extinction from new blockchain based fintech startups. This video shows the importance of maintaining ledgers given how cumbersome and costly maintaining those ledgers/databases have become with the growth of global commerce. It gives a good insight into a blockchain usecase that goes beyond finance. Taking, for example, the diamond industry and its various check-points on blockchain can provide a better, safer, cheaper and effective commerce model. Blockchain’s first killer app is Bitcoin which we all know about. But the invention of Bitcoin introduced us to the game-changing blockchain technology that has the potential to make digital identities of everything that we know on earth. This is one of the best short videos you will get on blockchain that thoroughly explains blockchain features. This video is brought to you by Lorne Lantz, a blockchain and Bitcoin educator. Lantz explains how the Bitcoin’s blockchain works and why it matters. The video also throws light on blockchain’s real-life problems solving capabilities. This video also discusses how the problem of correspondent banking can be solved if the banks implement blockchain technology and save lots of money for themselves and its users. It also shows how blockchain can help you verify the authenticity of your daily meds and the shoes you wear for an example. This video goes back in the history to trace the origin and evolution of the internet as well as the financial crisis of 2008 which coincidentally or purposely relates to the origin of the blockchain. I say coincidence or purposely together because no one knows whether the Bitcoin’s paper by Satoshi Nakamoto was a well-timed move or just a coincidence right after the collapse of the world’s monetary system in 2008. This video talks about a fundamental technological institution (i.e. blockchain) that will change how we exchange value and tells you about a decentralized economy that it will create in the coming years. It also talks about why we have traditionally trusted institutions across different industries and how they function to lower uncertainty. But what if we don’t need these trusted intermediaries of institutions to operate? That is exactly what this video is all about. The speaker in the video takes us back to the early days of the internet when it was broken, slow and ineffective and then presents to us the current situation of the internet. Similarly, the blockchain that we know now is not that good but it can be as good or even better with time as we have seen with the evolution of the internet. It also talks about the gap that blockchain is helping bridge which is fundamental to human existence too. That is all from my side in this article. I have also borrowed other’s content to convey what blockchain is and why it matters. What do you think about Blockchain? Do you think it will be bigger than the internet? Which of these videos did you like the most? Do you know any more interesting videos on blockchain? Do let me know the answers to these questions in the comment section below! What Is A VPN Kill Switch & Why Does It Matter? Bytecoin: A Scam Or A Mismanaged Crypto Project?